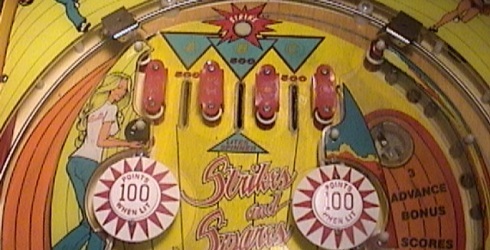 Welcome to my pinball restoration page. These pages chronicle the steps I took in repairing/restoring the machines listed on this page. I have tried to give as many details and pictures as possible on each of the projects. The purpose is to help others who may be trying to do the same thing or who may be fixing a similar problem. This page is not a complete "How To Do It." I only chronicle the things that I actually do to the machines. If you want a complete "How To Do It" try to get a copy of Clay's Repair guides. Many of the procedures I used here came from there. 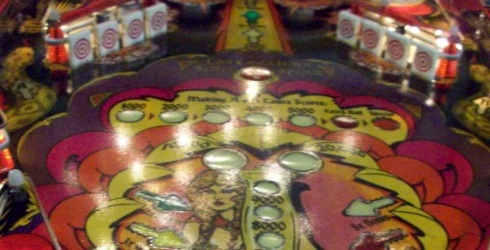 It was the most comprehensive and best guide on the net for restoring and repairing pinball machines. I wish he'd put it back up. On this site I try to show my mistakes as well as my successes with suggestions on preventing the mistakes the next time around. 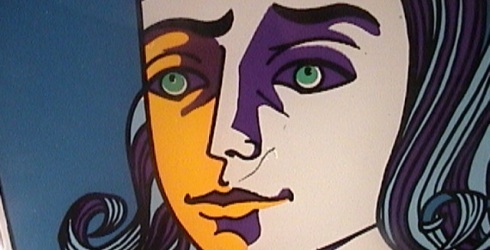 Currently, I have detailed descriptions for Silverball Mania, Mata Hari, Harlem Globetrotters, Flash Gordon, Agents 777, Totem and Alien Poker. For each of the other games I have put up a page of teaser pics up until I can get the full descriptions done. I will be getting them up as time permits. 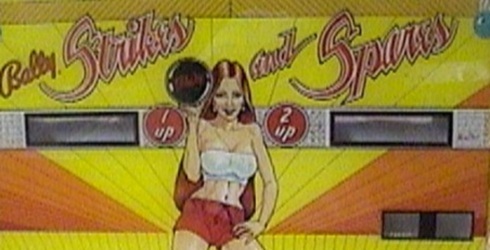 Disclaimer: I am not in the arcade business or in the pinball business. 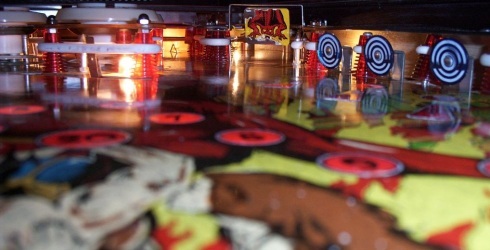 Pinball is a hobby for me, not a vocation. What works for me may not work for you or may not be the best way of doing things. There is no warranty or guarantee supplied with the information here. Use at your own risk. My knowledge and ability may be inferior to others, so you may actually get better results than I did! There is no need to sue me if something doesn't work. I have no money or rich uncles leaving me an inheritance. 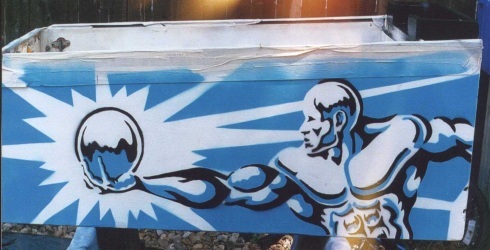 If you are going to repaint games, you need to know how to make stencils. Here are some restoration and repair tips to help you in fixing games. 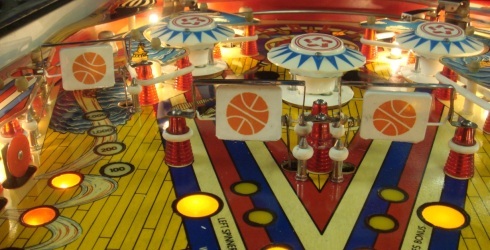 How I got interested in pins including how I lost a pinball machine. Silverball was the first game I ever restored. I chose it because it was completely working when I got it. 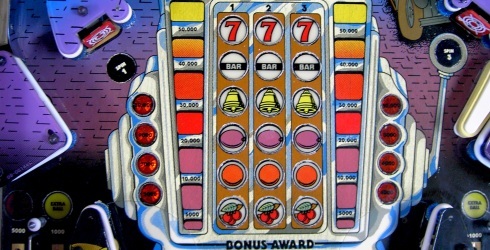 This was the second machine I restored and is still in my collection. 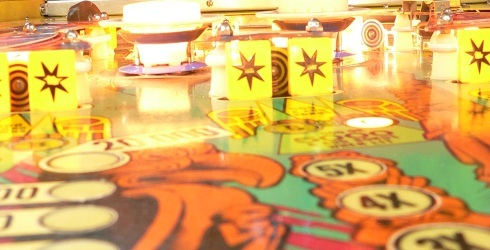 Mata Hari is the first game that I actually clear-coated the playfield. I sold this game to my boss. 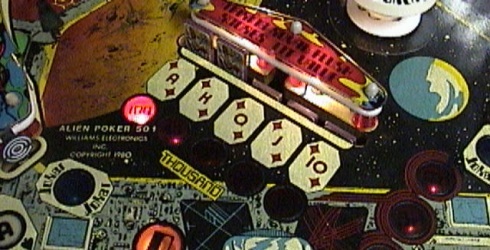 This was the second machine that I clear-coated the playfield. Overall, one of my favorite restorations. 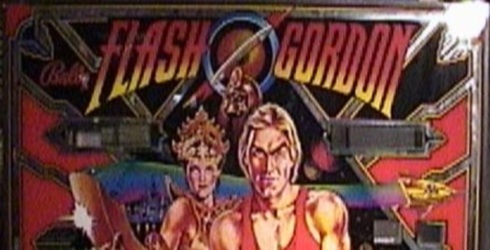 Manufactured by Gameplan, best known for sit-down cocktail pinball machines, I wish I had kept this game. The first talking machine from Bally, it sported multiple voices and prescient tube shot ahead of its time. With a collectible backglass, Totem sports asymmetical flippers and an American Indian theme. 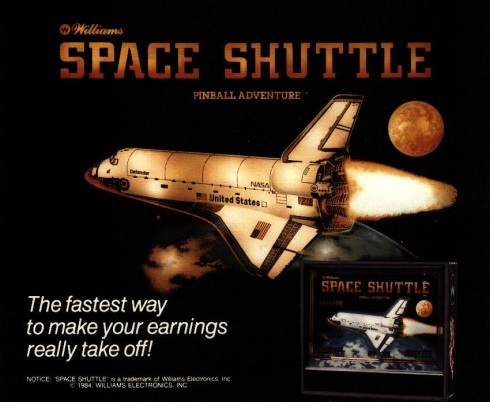 This was an early Bally solid state game best known for the artwork on its backglass. I had two Strikes and Spares I restored. This second one was in pretty rough shape before I started. 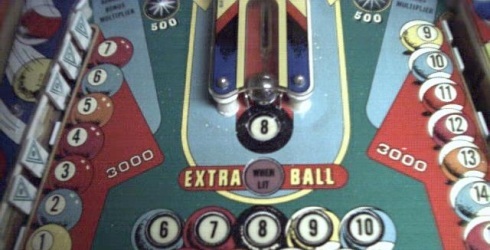 An early solid state game, Blackjack was made in both solid state and EM versions. 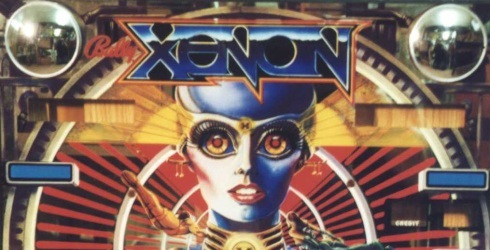 This was an early Stern solid state game using their "stolen" Bally MPU. 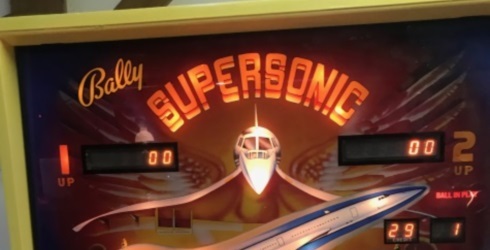 This Supersonic had a rat infestation making the restoration take a lot longer.